Last month we visited Cairo, Egypt and had a sudden glimpse into a place so vivid and unique it's little wonder that people everywhere dream of visiting. The Pyramids, tombs, and temples were amazing, of course, yet oddly what I may remember most was the incomprehensibly chaotic traffic that made Cairo vibrantly, jaw-droppingly alive. 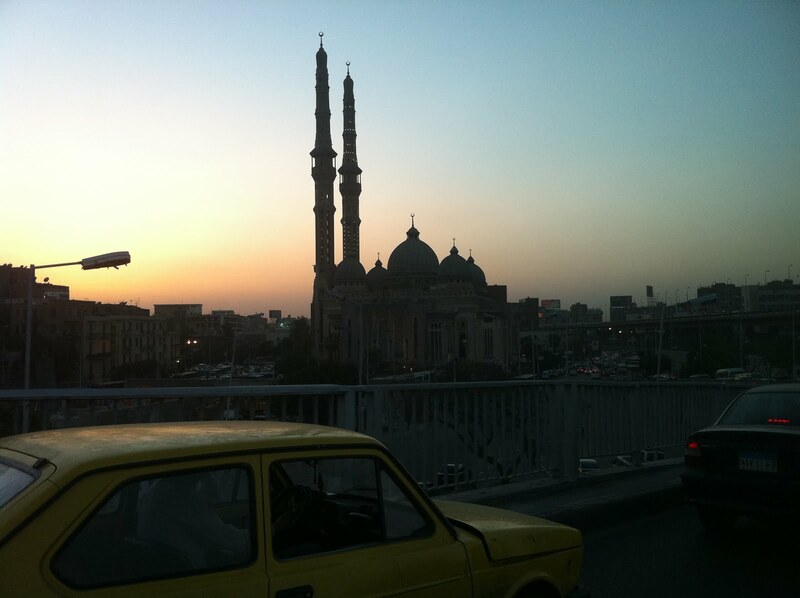 Upon arrival at dusk, we took a taxi from the airport to our hotel and were immediately ensnarled. Countless lanes of traffic merged from all directions with no signs or lane markings. Trucks piled high with garlic or sugar cane bumped along through the pot holes, wending through pedestrians balancing heavy loads on their heads, hawking merchandise, playing chicken with the traffic. Donkeys and horses pulled enormous loads and shepherds herded goats along the sidewalks. Families pedaled along on bicycles and camels peeped over the tops of truck cabs. Boys on bicycles with 12' pans of bread wended their way between the cars, rubble, and buffalo, while horns chattered. I was overwhelmed by the chaos, yet after a day I found that the traffic was one of the central events in our visit. On our day trips out to the Pyramids, I looked forward to watching all the activity, breathlessly staring out the open windows. Ironically, the auto had not replaced all other modes of transportation here as it had in most places I've visited, but had been forced to blend in and become part of this place. It certainly wasn't efficient, but it was amazing, and I feel, upon reflection, that until I visited Cairo, I'd never traveled at all. Progress is great, of course, and Egypt is struggling to move with strength into the 21st century. I hope that they can find a way to thrive economically, while still maintaining the amazing sense of place I discovered in Cairo and throughout Egypt.